Galapagos lava animal test time! 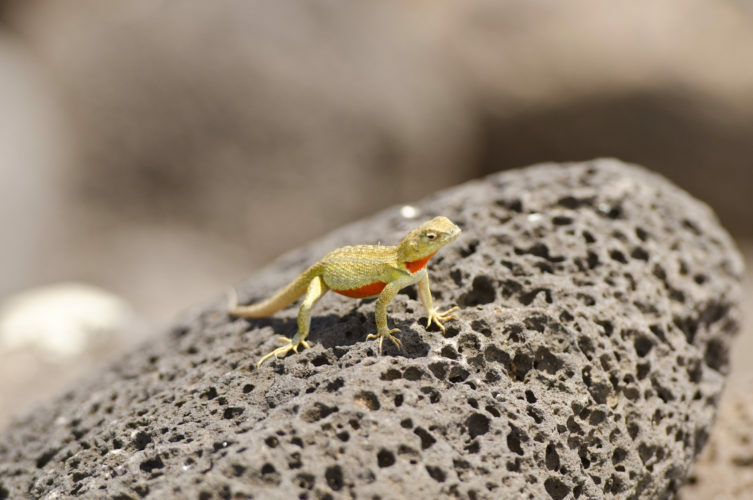 Can you name three lava-named animals that are endemic to the Galapagos Islands? With good eyes, you’ll spot all three of the animals listed below on our Galapagos land tours. Lava-lined shorelines and beaches are the best spots to find these creatures. 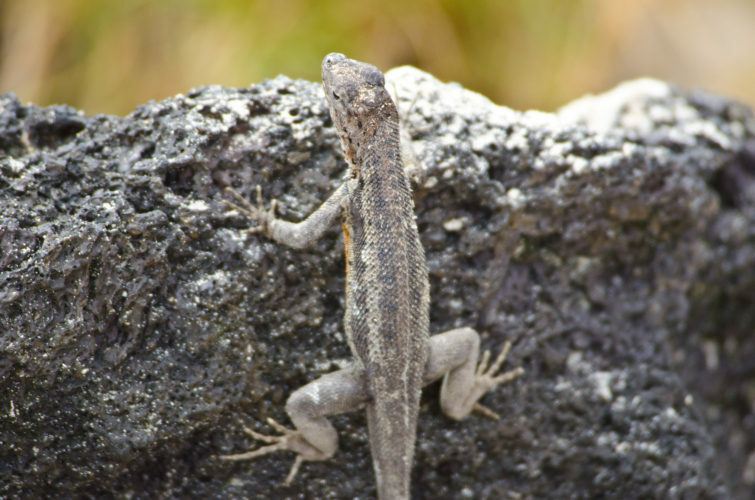 Many of the lava lizard species found in the Galapagos Islands are endemic, only found on their respective home islands. Not surprisingly you’re most likely to find lava lizards hanging out on lava rocks near beaches, pathways and hiking trails in the Galapagos. Sometimes the females will have reddish colored heads, and sometimes you’ll find males squaring off for territory by doing “push ups”! 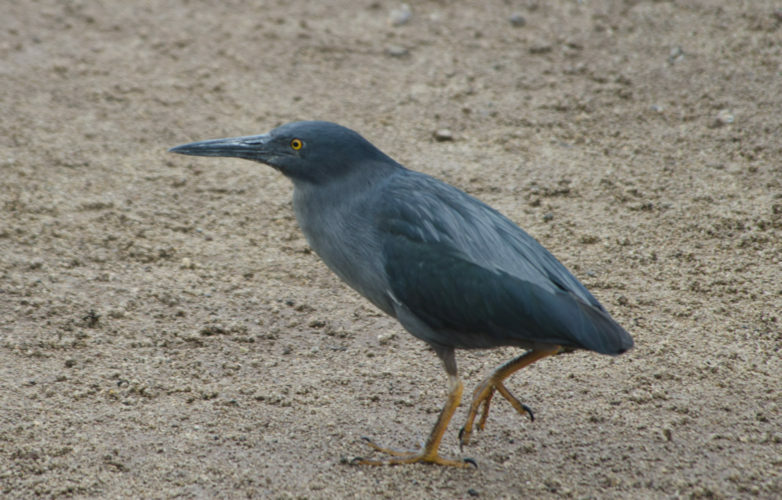 These are endemic and sometimes called Galapagos Herons. 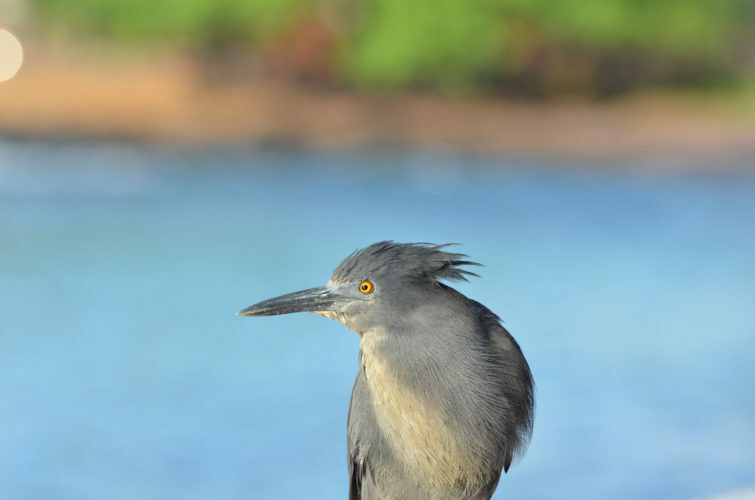 A medium sized heron that likes to nest under lava rocks, you’ll spot them along rocky shorelines or possibly in mangrove trees in coastal areas of the islands. Lava Herons are usually monogamous, staying together for many years, and will build their nests together too. Another endemic bird to the Galapagos Islands! Lava gulls are actually the rarest gull in the entire world, so many birders and nature lovers get very excited when they spot this bird for the first time, even though it looks kind of dull. There are as few as 300 breeding pairs in the Galapagos Islands, making it a vulnerable species. You’ve probably noticed these lava animals are not exactly the most colorful creatures. 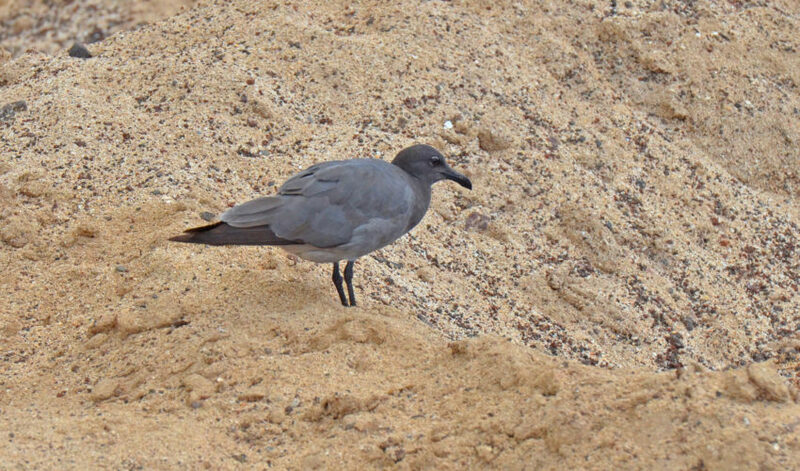 Camouflage from predators for the lava lizard and the ability to blend into their surroundings for the herons and gulls are important for their survival. The Rare Lava Gull, only found in the Galapagos Islands! If you find yourself staring at a bunch of lava rocks in the Galapagos one day, take a closer look – you may just find one, two or even all three of these species nearby!